Enjoy the scenic beauty of Leh in Hotel The Palace, Leh, which gives an exhilarating view of the mountains. 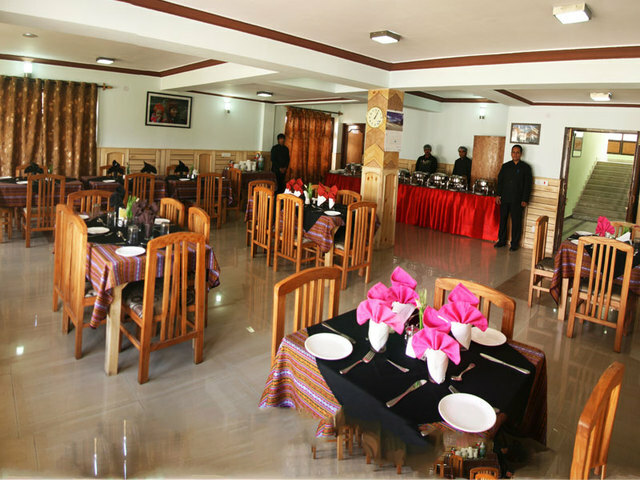 The 3 star property is well-maintained and provides good amenities to the guests. This newly built hotel is within the walking distance to all the major attractions. Restaurant, Family/Child Friendly, Major Credit Card Accepted, Internet/Wi-Fi, Audio-Visual Equipment, Backup Generator, Doctor on Call, Parking, Room Service, Front Desk. Dustbins, H/C Water, Bottled Water in Room, Complimentary Newspaper, Internet Access, Attached Bathroom, Telephone, Complimentary Toiletries, Ceiling Fan, Desk. User reviews for "The Palace Hotel Leh"